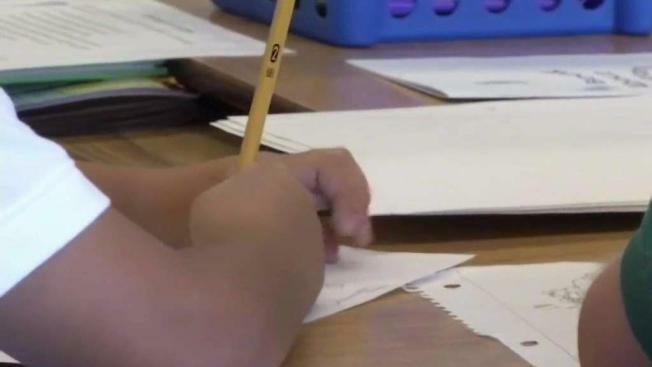 Amid the growing concerns of immigration enforcement in the Bay Area, educators are scrambling to keeps kids in school, and on Monday, a local district attorney is sounding the alarm. Many families have moved out of the area, concerned about ICE enforcement, and now Chris Arriola of the Santa Clara County DA's Office, says truancy and absenteeism are spiking. In San Jose’s Alum Rock School District alone, 154 students moved out of the area last month, mostly for fear of deportation. If a file reaches Arriola’s desk, it usually means the child is absent from school more than 10 percent of the time. He’s seen a spike over the past few months in cases of truancy and absenteeism across the county. "Parents are sometimes afraid to send their kids to school either because they themselves might be subject of an ICE investigation or just afraid their kids might be picked up themselves," he said. "It's sad because they miss a lot of school." District Superintendent Hilaria Bauer called an emergency meeting Friday to talk about absenteeism and to implement protocols to deal with possible deportation fears and actions. "The safest place where the children can be is with us at school," Bauer said. "They have adults that are careering for them." Arriola said while truancy can land a family in court, he wants to try to settle truancy cases outside of the legal system to help calm fears. "Don’t let your fear deprive your kids of an education today," he said.